Scope: New construction of nine buildings, three story residential style wood frame construction, with a total of 54,500 sq. ft. of gross area, 51 two bedroom occupancy units for rental use. Accessible units are located on the ground floor. All buildings are equipped with a complete fire sprinkler system, fire detection, alarm and control systems. 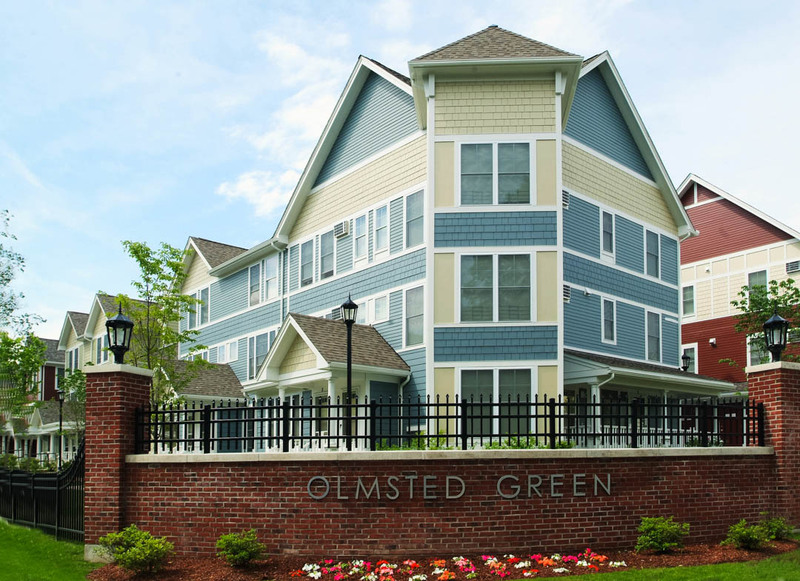 “Olmsted Green was a great fit for us. A top goal of the project was to provide work for people in the community and to employ minority and women-owned subcontractors. We exceeded the hiring goals of 50% for minority and Boston residents by a wide margin. As the first residential housing to be built on the former Boston State Hospital campus in the Mattapan zoning district-– nine, wood-frame units in this first phase—the budget was tight. We did a lot of value engineering to meet the initial budget, one of our strengths. The site work was being done under a separate contract with the owner which necessitated a very detailed scope and close coordination on the part of both contractors.